What is Google Adsense and how do I get a Publisher ID? What is Google Adsense and how do I get a Publisher ID? Home / Blogging Tips / What is Google Adsense and How do I get a Publisher ID? What is Google Adsense and How do I get a Publisher ID? One way bloggers can earn money from their blogs or from sites like infobarrel that offers revenue sharing with its writers is Google Adsense ads. One of my readers recently asked me how he can get a publisher account with Google Adsense. This post is to answer him and also help others. If you have any question that needs answer, please ask them in the comment space further below. 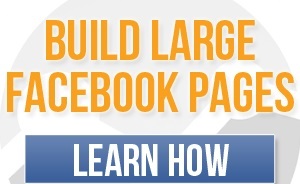 Easily add a custom search engine to your site, and earn from ads on the search results pages. Display ads on your website that are suited to your audience’s interests, and earn from valid clicks or impressions. Connect your mobile users with the right ad at the right time as they seek information on the go. 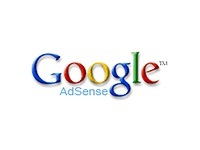 If you don’t already have a Google Adsense account, you will need to sign up for one. First of all, you will need to sign up for a Google Adsense account. It may take several days to receive your approval depending on how back logged Google is. To sign up, go to https://www.google.com/adsense/g-app-single-1 and fill out the form. Make sure you fill out all the Google Adsense information out correctly because they will later be sending you cheques for your earnings. Please provide a mailing address for your Adsense account. That would aid your approval. Also, your blog must be older than 4 months and it must have unique articles. All these and more will make Google approve your account in 2-3 days time. Once you have been approved, login to Google Adsense by going to https://www.google.com/adsense . Once logged in, in the very top right corner you will see ‘Publisher ID:’. All Publisher IDs start with the prefix ‘pub-‘ followed by a combination of numbers. This is the publisher ID that sites like infobarrel require in your profile in order to credit you with your ad impressions. Make sure you save the ID where you can easily have access to it. If you have any other questions, feel free to contact us! To learn more about Adsense, you should become part of out loyal subscribers so that you can get more updates about Google Adsense and other ways you can make money online legitimately.